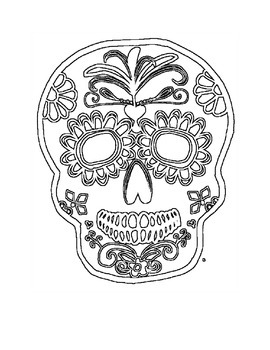 ￼Sugar skulls play an important part in a celebration called The Day of the Dead, or El Día de los Muertos. In Mexico and other Latin American countries, people celebrate the Day of the Dead on November 1 and 2. 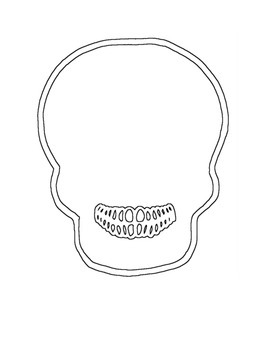 People create sugar skulls to use as decoration, in competitions, and as offerings to their loved ones. 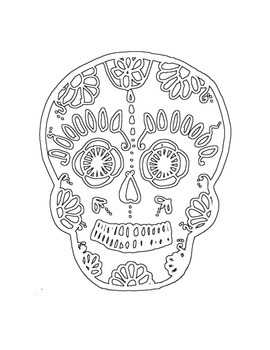 This activity pack contains 11 original designs for sugar skulls. 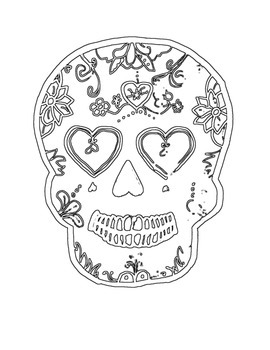 It also includes 3 template designs so that students can design their own sugar skulls. It includes a brief introduction of the history of sugar skulls in The Day of the Dead (El Dia de los Muertos) at the beginning. This activity would be a good complement to the introductory Powerpoint presentation on The Day of the Dead.